Nokia and Samsung's handset naming policies: Necessary or reactionary? 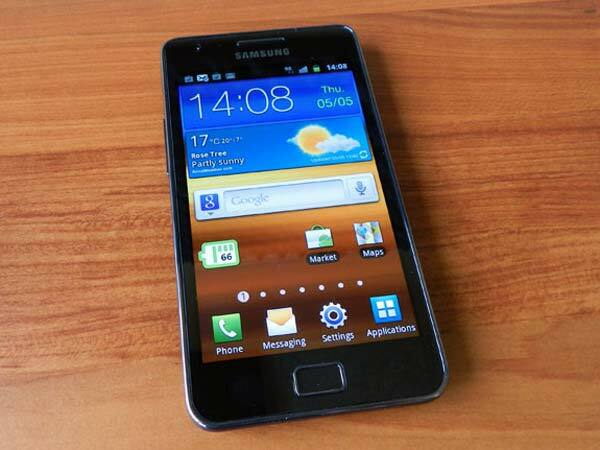 Nokia and Samsung’s new handset naming policies: Necessary or reactionary? As the smartphone market continues to boom, with iOS and Android devices leading the charge, both Samsung and Nokia – the world’s second and third largest smartphone manufacturers by volume – have decided to amend the way new handsets are classified and named, introducing new naming policies to help “reduce consumer confusion” and clarify the quality of devices they are releasing. Nokia has ditched letters and returned to an all-number naming system which it hopes consumers will be able to use to determine how feature-rich and costly a new smartphone would be. Each Nokia device is assigned a number between 100 and 900 – a lower number indicates the device is an entry level handset and will be priced accordingly. The Finnish smartphone giant debuted its new system just last week, introducing five new handsets that included the world’s smallest smartphone and a device that boasts one of the loudest speakerphones on a mobile device. Powered by Nokia’s latest Symbian update, codenamed Belle, Nokia’s 600, 700 and 701 featured 1GHz processors and NFC support, positioning them as mid-range devices that could possibly tempt users of similar Android-powered devices. Samsung has decided to bank upon its Galaxy brand and introduce a categorical naming system that utilises five individual letter suffixes and three new subcategories including “Pro”, “LTE” and “Plus”. Now, when the Korean smartphone giant releases a new smartphone, it will launch as a Galaxy handset but be classified as an S, R (Royal), W (Wonder), M (Magical) or Y (Young) and possibly bear the additional tag of Plus (indicating it is an upgrade of the existing model), Pro (the inclusion of a QWERTY keyboard) and LTE (which highlights the fact the handset is 4G-enabled). Two different naming policies with a similar goal – to better classify the large number of smartphones the two companies are releasing. The final part of the last sentence is telling, especially in terms of how the smartphone market stands at the moment; Nokia and Samsung are both selling millions of handsets cumulatively but only a select number of models are standing out as popular models. Both Samsung and Nokia dedicate huge resources to research and development, setting aside budgets to assess the needs of the market, the decision to introduce new naming policies hasn’t been taken lightly. The aim is to increase sales and provide a basis from which customers can logically follow iterations of both companies’ handsets – opinions are mixed on whether the intention and the end result will correlate. Nokia’s decision to adopt to an all-number naming policy again sees the company return to its roots, utilising a system that proved popular and helped it sell 160 million units of the 3210, a small handset loved for the ability to play Snake, compared to the company’s most popular Symbian handset – the Nokia N8 – which is expected to sell around 9 million units this year, despite the fact it is quite possibly the best cameraphone on the market, can navigate you through traffic and connect to the world’s most popular social networks. It’s interesting that in the time Nokia realised it was fast losing its relevance in the smartphone market, it had dropped from being the UK’s number two super brand in 2002 to rank 89th in 2010. While Nokia’s nomenclature U-turn is a bit odd, given its last naming scheme (E7, N8 etc) lasted only a year before they realised it was rather stifling, I’d say it’s the only mobile brand that can get away with it in this day and age. Think about it – your first mobile phone was probably a Nokia, and you probably remember what four digit code it was too, be it the 5100 or the 3210. It’s still part of Nokia’s DNA and image – so long as the phone is good I don’t think their new series will be any less memorable. I do still wonder how they’re going to cope since they actually ran out of four digit numbers, but I’d say naming conventions are the least of Nokia’s concerns right now. Sillis brings a good point; many mobile phone owners will remember the Nokia of old and the different classes of phones that were associated with varying numerical classifications. However, relying on a system that worked for the company ten years ago may not have much resonance with the younger smartphone generation that has grown up with brand names including iPhone, Galaxy, Desire and Curve and Bold. In a market where branding is key and Nokia’s reputation has taken a beating, having pure numbers over unique and memorable names may impair the Finnish mobile giant’s ability to establish emotional connections with its customers. With the launch of new Windows Phone handsets in the coming months, Nokia hopes to reinvent itself as a smartphone vendor, particularly in North America and Europe. It is not clear how the company intends to differentiate its Windows Phone devices from its existing Symbian range, but advertising new the hypothetical new “Nokia 950 powered by Windows Phone” is certainly considerably less romantic and buzzworthy than that the “Sensation”, “Galaxy”, “Droid” or “iPhone” brands that HTC, Samsung, Motorola and Apple have used effectively. That isn’t to say it won’t work, Nokia’s approach needs to be spot on. The Finnish mobile carrier needs to extol the virtues of the Windows Phone platform without resorting to industry jargon and push its impressive hardware technology to the average consumer, repairing the company’s image as a relevant smartphone maker in the face of iOS and Android dominance. Samsung finds itself with a completely different set of challenges than its Finnish rival; its smartphones are actually selling. The decision to reformat its device lineup sees the company continue go all-in with its Galaxy brand, which has helped Samsung establish itself as the top Android vendor. With the original Galaxy S selling strongly, its successor – the Galaxy S II – accounted for roughly a third of the Korean manufacturer’s total smartphone sales in the last quarter, helping to position the company as the second largest manufacturer in terms of smartphone sales. The problem with Samsung’s new naming scheme is that it has a very real chance of running out of naming combinations that remain relevant. Samsung however is rather confining itself with its daft new Galaxy range. By sticking with four letters, they’re going to end up a year or two down the line with the Galaxy Y 4 and the Galaxy P III and other stupid names nobody will remember, because already Galaxy is all most people can remember the S 2 is called. It’s missing the point too – it doesn’t have that heritage Nokia does. It needs to make every device in every range a hero product, and the way to do that now is to give them an individual name. Besides, you know the US networks are only going to change their names anyway. Currently, Samsung uses such names like Geo, Fit, Ace and Portal for its range of smartphones, all of which form part of the Galaxy brand. Most of Samsung’s smartphone range is focused on the low to mid-range market, the type of devices that are selling in moderate numbers and helping Google’s Android platform grow to power nearly two thirds of all smartphones sold in the previous quarter. Taking a look at the current devices on sale, it would be easy to look at the devices and think why Samsung wouldn’t just amalgamate the four devices and release one device that fused the the unique features of each device? It appears that Samsung may just do that, iterating each of its devices in a specific range only slightly to include a keyboard or support for next-generation mobile networks. If this is the case, the company may not need to worry about its naming policy, as it would be rely on the strength and saleability of each smartphone in the S, R (Royal), W (Wonder), M (Magical) or Y (Young) categories. Smartphone manufacturers enjoying increased smartphone sales have something in common; they all have a “this is the best phone we offer” model, which HTC, Samsung and Apple have used to varying degrees of success. Apple, of course, only sells one device (although that could change with the rumoured release of an iPhone 4S alongside the iPhone 5) and has risen to become the number one smartphone manufacturer. Its focus on design and popularising features that have been previously offered by rivals to lesser success has helped it remain current, despite the fact that its rivals have built and released significantly more powerful devices during that time. The use of a “best phone we offer” model caters for customers that want to own the best device a manufacturer offers and will often pay significantly more to own it. Despite falling sales, Nokia still dominates mobile sales in emerging markets and that is unlikely to change – its devices are cheap and packed with features tailored for consumers in countries that need a phone to be a phone and require the minimum in value-added services. Whilst Apple’s strategy is to offer a simple range of products and make them the best in their class, Nokia still needs to cover every major price point between €30 to €600 – a difficult task, but the company could still limit its offerings to not only make it easier for consumers to identify the right device for them but also for Nokia’s engineers, which have to ensure its smartphone experience is consistent across its range. With a small number of devices, even just one, at each price point, manufacturers give themselves a very real chance of innovating to deliver handsets that can stand out amongst their rivals, especially in a market where the majority of devices are Android powered. Phone companies have to build a brilliant handset you’ll want to use for years, and sell you another handset the next year. This schizophrenic pressure has driven them crazy: instead of crafting the ultimate phone to defeat the competition, they’re trying to cram a new mobile down your throat every month, and if they thought for a single second that would count as a legal sale you’d have an advertising executive’s arm in your oesophagus right now. The bigger the brand, the greater this pressure to perform. Apple release a major revision every twelve months, usually with a contract of thirty-six months, and apparently keep a straight face through the entire transaction. Whilst queuing for days on end, some obsessive fans have spent longer in line for their products than other people have spent using them. The worst effect is how a guaranteed release date means you’re trying to find something to cram into the next generation, instead of releasing a next generation when you have something worthwhile. Ultimately, the name of a smartphone will do little to help it sell if the device itself isn’t worthy. Nokia has a lot to do to regain consumer trust, having failed to deliver a complete mobile experience despite the inclusion of some of the most impressive hardware features seen in mobile devices today. With its numerical naming scheme, Nokia has ensured it at least has something unique to its brand – other vendors have moved away from similar policies and moved to memorable naming systems. Samsung, on the other hand, may notice no difference from its naming change, simply because its smartphones are high-quality and targeted. Both companies need to ensure they invest fully in their 900 and Galaxy S ranges respectively, focusing on innovation instead of regular release cycles. If their top-end devices impress, confidence in the brand is sustained and consumers are more likely to share their experiences with friends or family, in turn driving demand. Samsung knows this, which is why it has increased the visibility of its Galaxy brand, Nokia on the other hand needs to hit the ground running – quite how it intends to do that, we will have to wait to find out.